Merry Christmas Eve everyone! 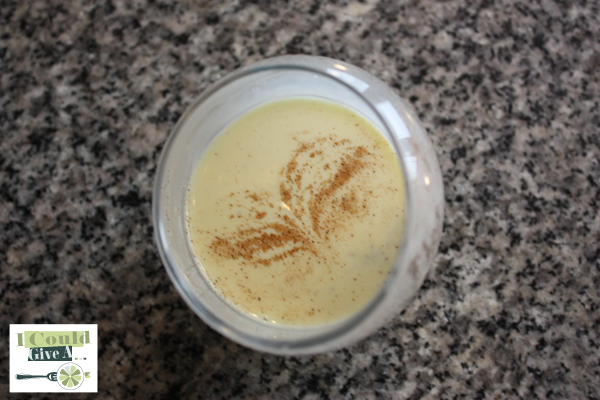 It’s not too late to make eggnog! You can even spike it, if’n ya want! If you do, please share so that I can live vicariously through you! Please! 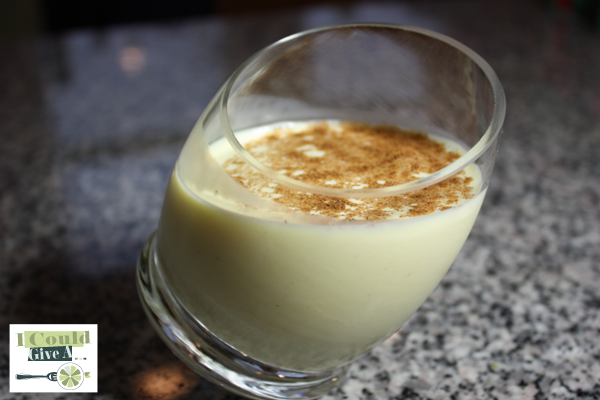 There are a lot of people who worry about raw eggs, so I’ve got a cooked eggnog recipe for you. Please see the note from the Food Network kitchen below! I topped mine with cinnamon, mmmmm….. Looks like angel wings! Merry Christmas! In a medium saucepan, over high heat, combine the milk, heavy cream and nutmeg and bring just to a boil, stirring occasionally. Remove from the heat and gradually temper the hot mixture into the egg and sugar mixture. Then return everything to the pot and cook until the mixture reaches 160 degrees F. Remove from the heat and pour into a medium mixing bowl, and set in the refrigerator to chill. Contains Raw Eggs: The Food Network Kitchen suggest caution in consuming raw and lightly cooked eggs due to the slight risk of salmonella or other food-borne illness. To reduce this risk, we recommend you use only fresh, properly refrigerated, clean grade A or AA eggs with intact shells, and avoid contact between the yolks or whites and the shell. For recipes that call for eggs that are raw or undercooked when the dish is served, use shell eggs that have been treated to destroy salmonella, by pasteurization or another approved method.